So it all comes down to this. . . once you get the sketching bug, you just can't help yourself. 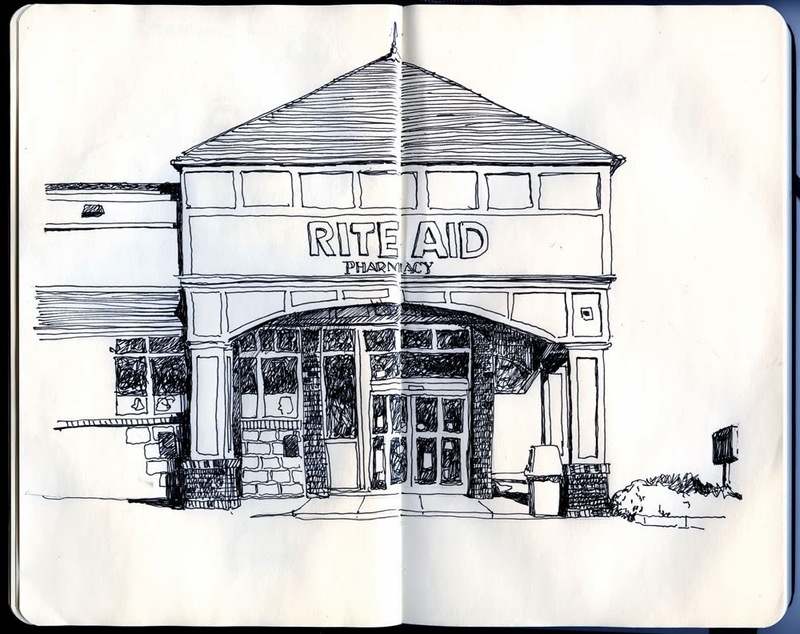 I have darned near sketched everything in Wyoming, RI that I can, (considering the cold and that I have been sketching from inside my car) so with a shortage of parking near 'scenic things' to sketch, and it being too damned cold to sit outside - this morning I enjoyed my coffee and did a sketch of the Rite Aid. I like the process of sketching because it really makes you look at the things around you. I have passed this store many many times and never really looked at it. Today I took the time (I really stopped here because it was convenient) to take a close look. It is surprising to me how many ordinary things/sights we pass each day and we never really stop to look. 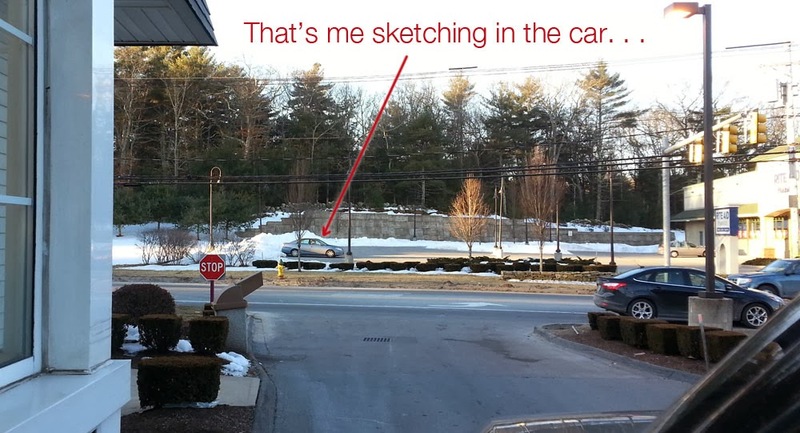 It doesn't matter to me really where I stop and sketch because you can always see the beauty in ordinary things. . . .and if not 'beauty' maybe just a good study in values or a good composition but it seems like everything has it's place in the world if we really look. Wouldn't you know my friend Eric saw me as he was getting his coffee at the donut place and snapped this picture of me 'hard at work'. Thank you. I have been in the same self created rut. I have also come to the same realization, basically, "it's not the destination but the journey". Finding interesting images is the mental/creative challenge. Maybe it's an age thing.